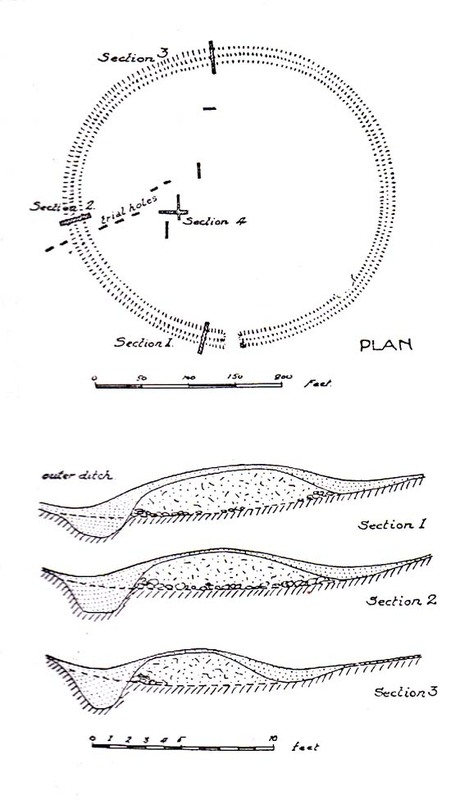 “This oval earthwork, 320 ft. diameter, crowns a small hill on the general slope of the east bank of Easington Beck. It consists of a ditch and bank with a gateway through the bank and a causeway across the ditch on the west side. Inside the bank and ditch the ground rises gently into a rounded hill so that most of the inside of the earthwork is well above the level of the bank. “During the spring of 1934 a preliminary excavation of the site was undertaken by the late Dr. Arthur Raistrick. Three sections were cut through the ditch and bank and the inner area was briefly explored. “Although nothing was obtained to date the earthwork, the sections did show the ordered structure of the site and proved the presence of large floors that may well have been the site of huts. 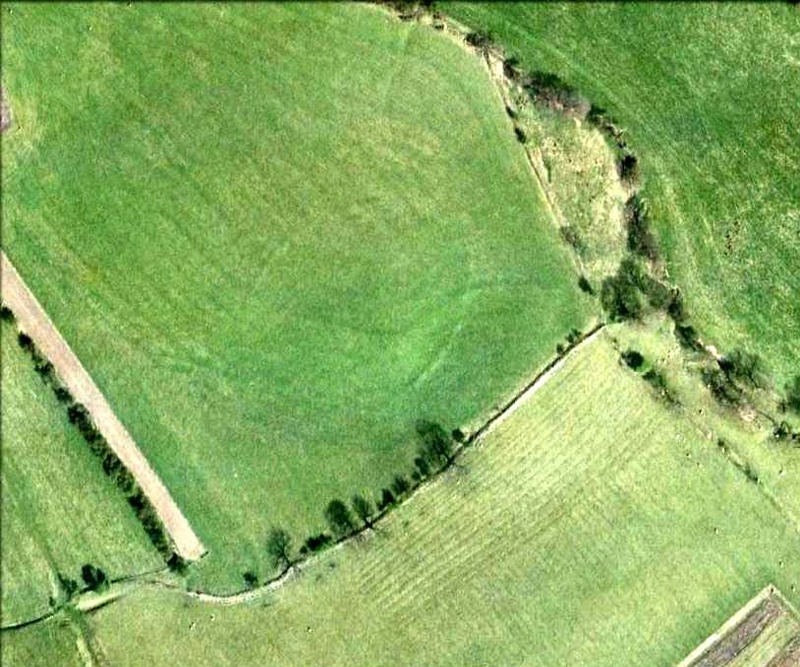 “This site may be compared with the large ringwork at Fair Oak Farm, SD 648 458, as both have a similar size and the same features are displayed. Bleasdale Circle, SD 577 460, is a slightly smaller ringwork, but I consider all three monument (plus: Easington Fell Circle [no:2] SD 717 492 ) to have the same origins. Dixon, John, Slaidburn and Newton, Bowland Forest, Aussteiger Publications: Clitheroe 2003. Greenwood, Margaret & Bolton, Charles, Bolland Forest and the Hodder Valley: A History, privately printed 1955. This entry was posted in Lancashire, Settlement/Enclosures and tagged antiquities, Archaeology, Bronze Age, Earthworks, Easington, enclosures, Iron Age, Lancashire, Newton, prehistoric sites, settlements, Slaidburn. Bookmark the permalink.